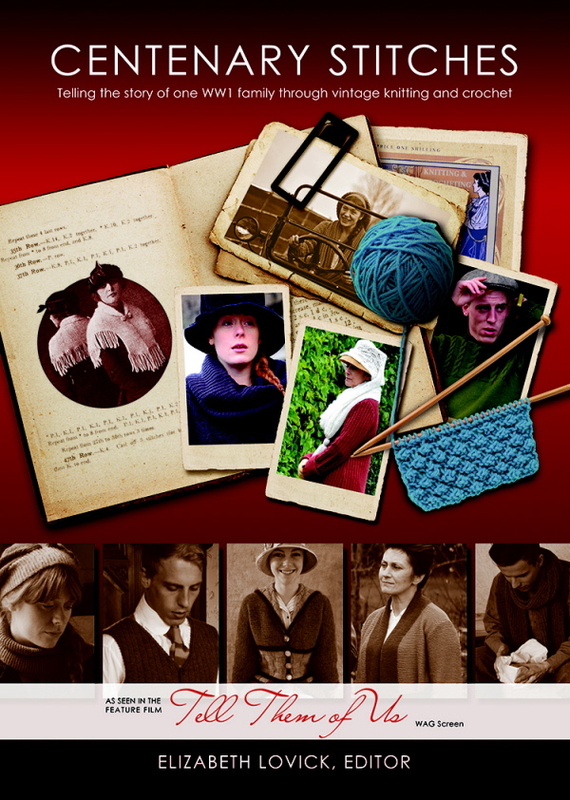 The web page for Centenary Stitches is now on line, and you can pre-order it here. It costs £20, or $30. All the details of P&P are on the web page. 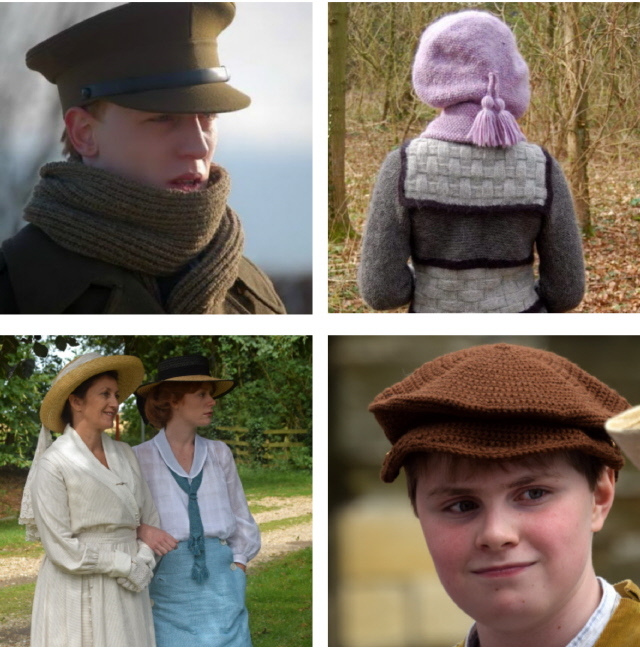 The book has about 70 patterns for all the family, all of them wearable today. Garments come in a wide size range (typically 30 to 60″ bust/chest for adult garments). Most of the accessories are sized for toddlers to plus sizes, and many of the shawls can be adapted to different sizes and yarn weights. The book will be launched in Lincoln on 9th November 2014, Remembrance Sunday, and will be shipped in the second half of the month. Those of you who have been with me some time (thank you!) will know about the Robe of Glory. The story as we know it is this. Back in 1981, Good Housekeeping released a pattern they called Blessings for a Baby. 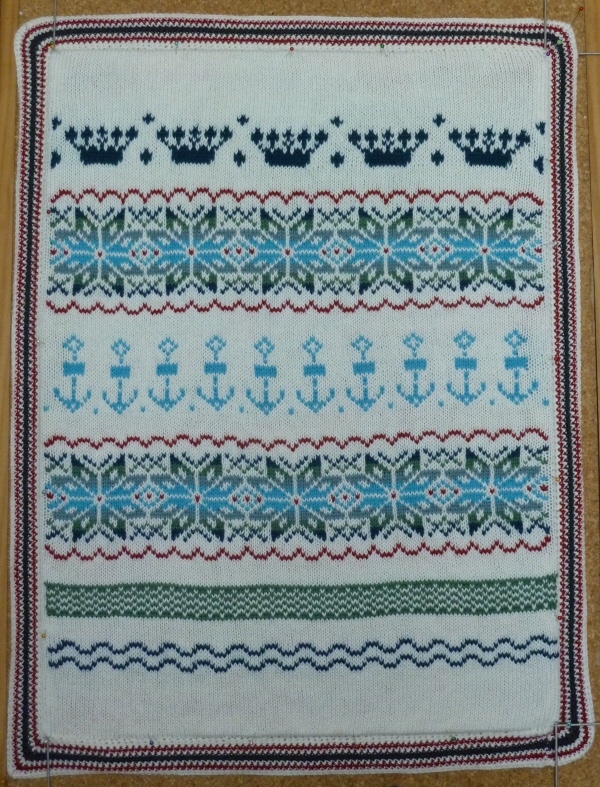 This was said to be based on the motifs used on the Robe of Glory, a sweater given to a boy when he reached manhood. 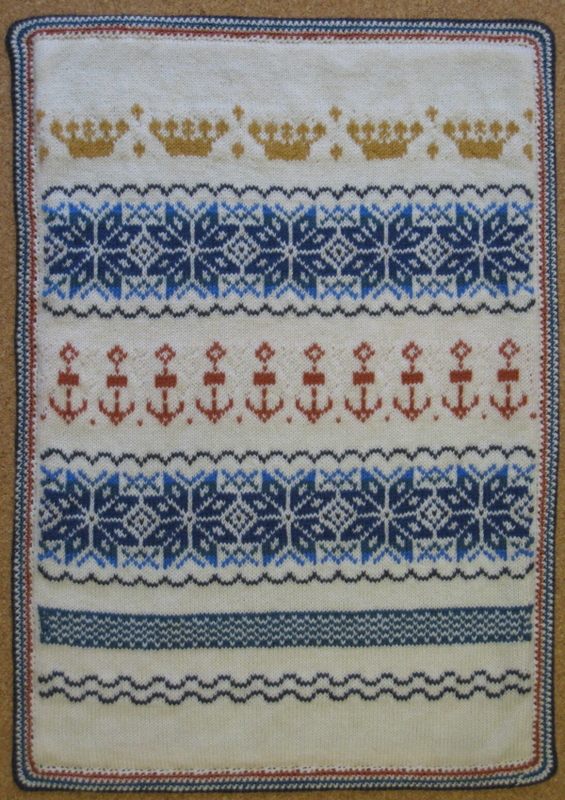 It was said to have been traditional on the Fair Isle. 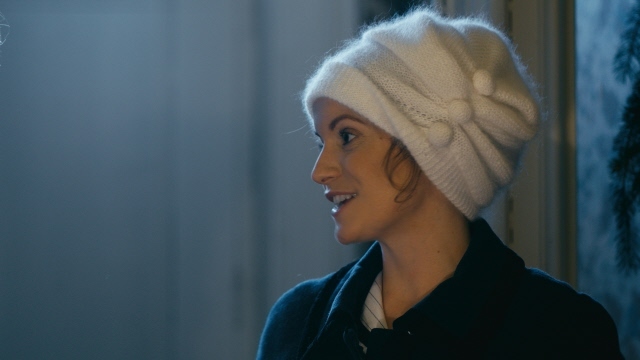 However, Anne Sinclair, who is a knitting historian who was born on Fair Isle, and who is now in charge of the museum there, has never heard of it, and there is no documentary evidence either. It was Rae Compton, a very diligent researcher of traditional knitwear, who describes the Robe of Glory in a Shire book, Fishermen Knitting. She does not give her source, but unlike some researchers of that era, she was not given to making up fanciful stories! If she talks about it, it must be ‘true’. Enter a friend of mine who was born and bred on the Orkney island of Stronsay. 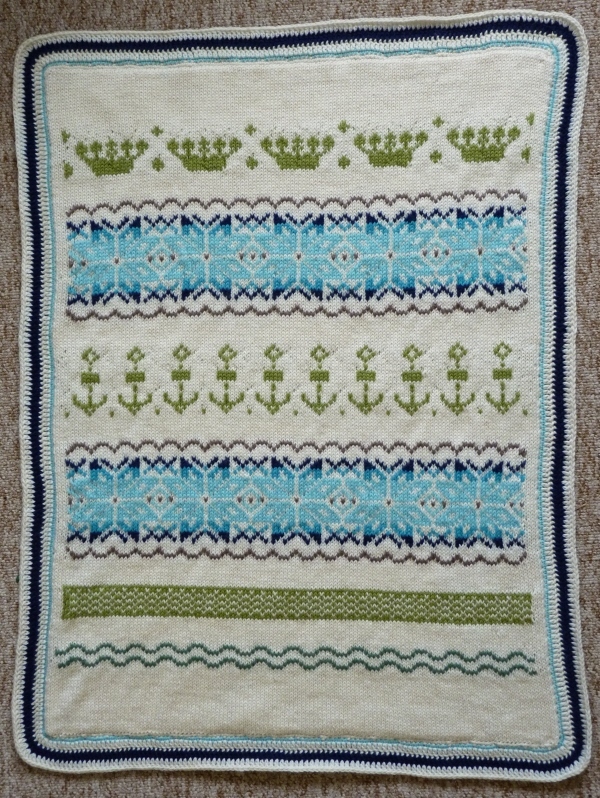 She has a pram blanket using the same motifs in a similar way, but knitted before the Good Housekeeping pattern came out. She remembers older ones too, and that the blanket was given to the first baby in a household. Talking with other Orcadians, I get infuriating glimpses but no definites! Many old people say ‘That rings a bell’, but I can’t get further than that. There is definitely a Stronsay connection, and probably a Westray one. The next interesting bit is that there were two big emigrations from Fair Isle in the Nineteenth Century. In both cases, several large families moved to Orkney, specifically to Stronsay. 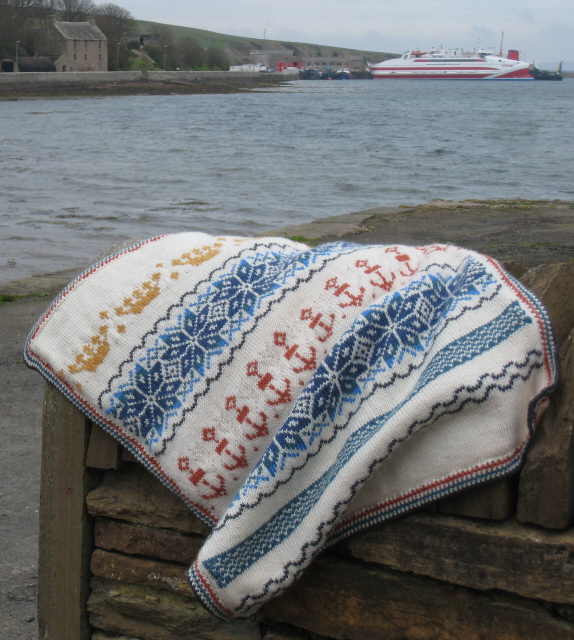 Was the Robe of Glory a family tradition, and did they bring it with them to Stronsay? I have yet to find photographic evidence, but it is a definite possibility. 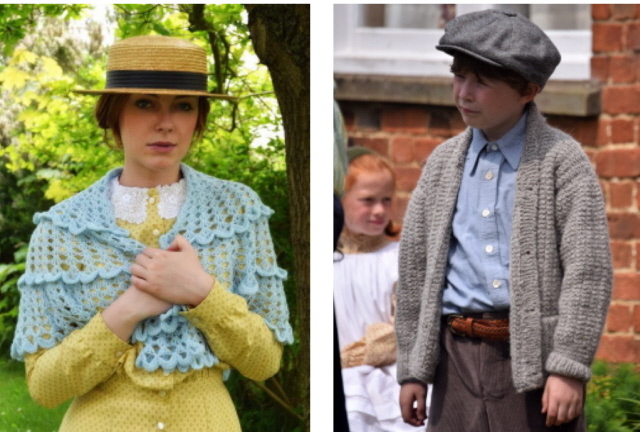 Whatever the exact history, you can now knit the Orkney Robe of Glory for your own family! 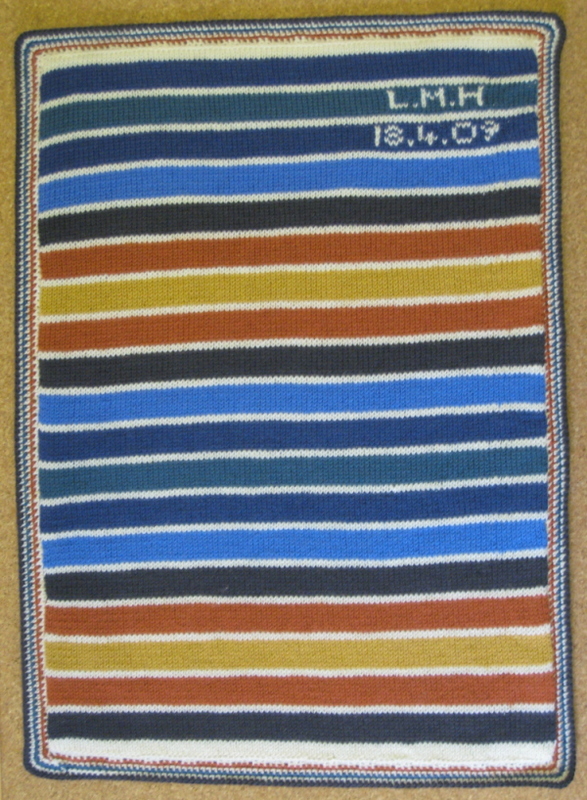 This version of the pattern uses DK yarn, and the back of the blanket is knitted in stripes with the yarn left over from the Fair Isle on the front. I used Paton’s Diploma, a 50% wool, 50% (good!!) acrylic which keeps its looks and its warmth through many machine washes and tumble dry cycles. 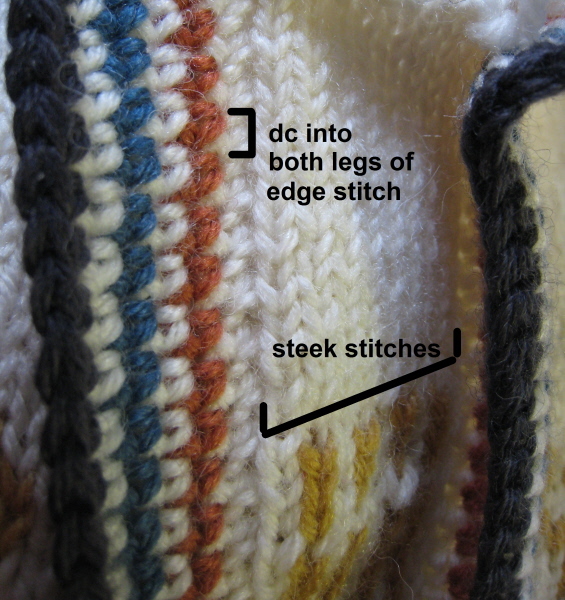 The front is knitted first in the round with a steek, then the edging is crocheted. 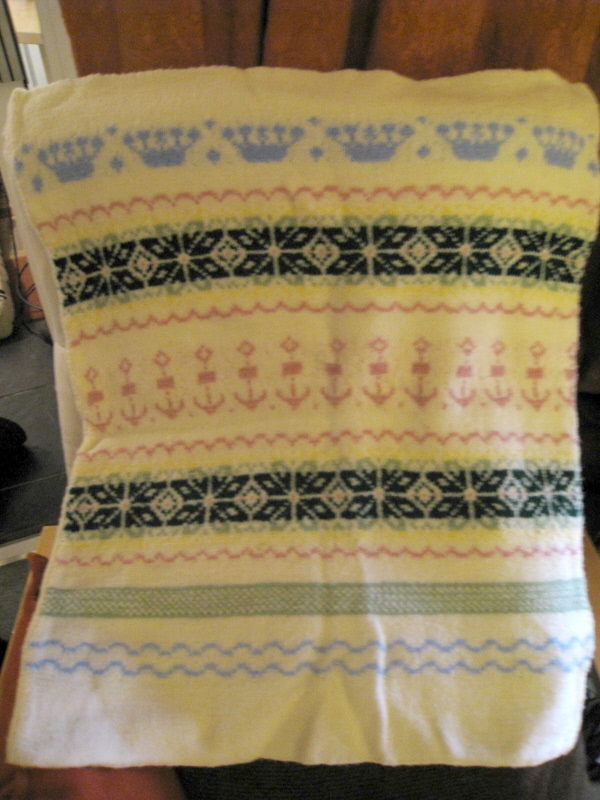 The back is knitted in stripes, the steek cut, and the back is sewn to the first row of the crocheted edging. The pattern has photos showing the various stages of construction. 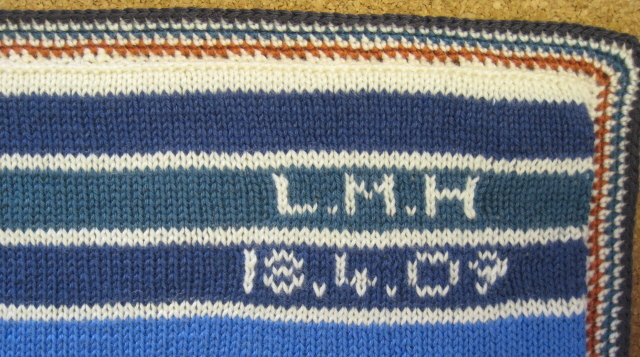 The pattern includes charts for all letters of the alphabet, and numerals, so you can personalise the back (or front) with the initials and birth date of the baby if you want. I have knitted several for different babies, choosing the colours to match the pram. I crochet the edging in whatever colours suit, and which ever I have left over!! 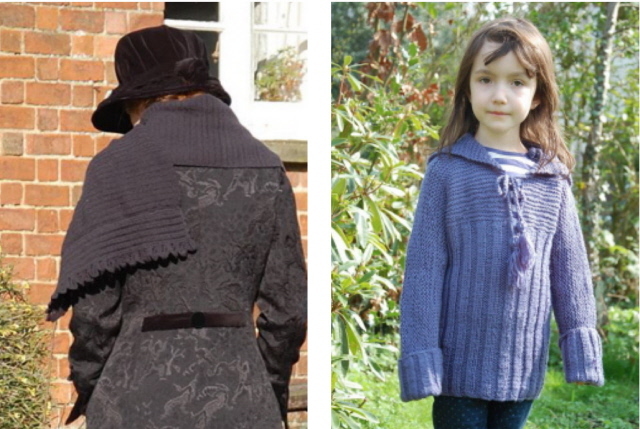 You can buy the pattern from Ravelry for $6 – you do not need to be a member of Ravelry.